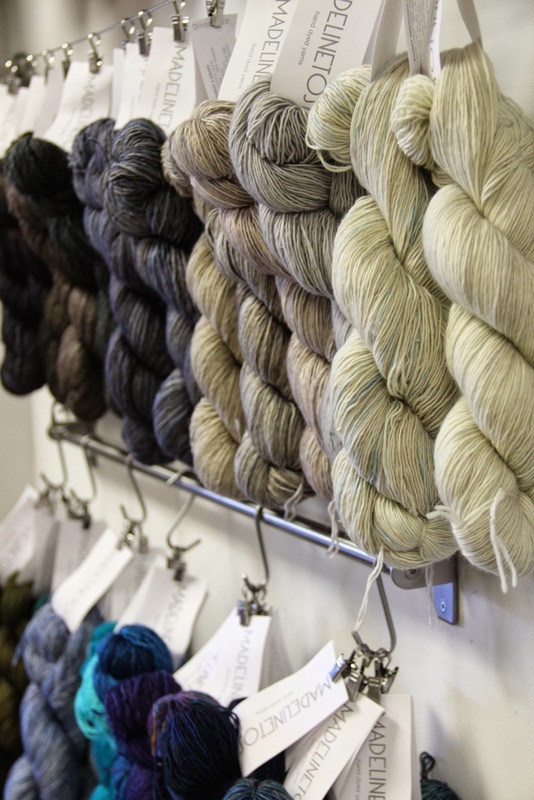 We have over 600 pounds of TOSH in our shop and online! Fully stocked with sweater quantities in Madelinetosh DK, Madelinetosh Chunky and Madelinetosh Merino Light! 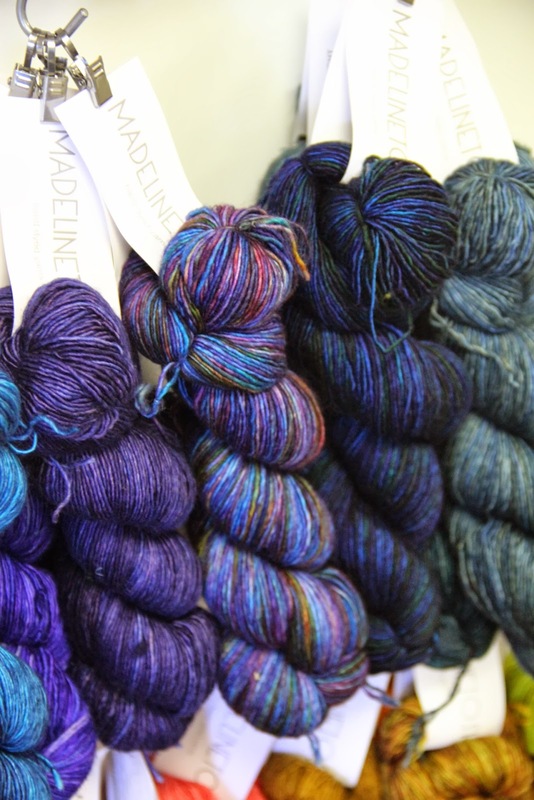 Madelinetosh Vintage is on it's way and should arrive this week! 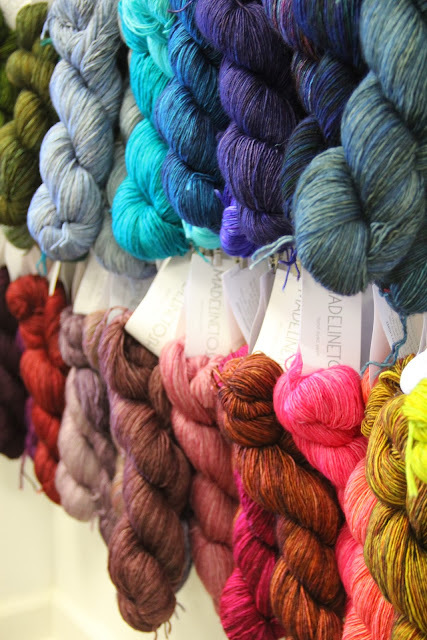 We just couldn't resist photographing these beauties! 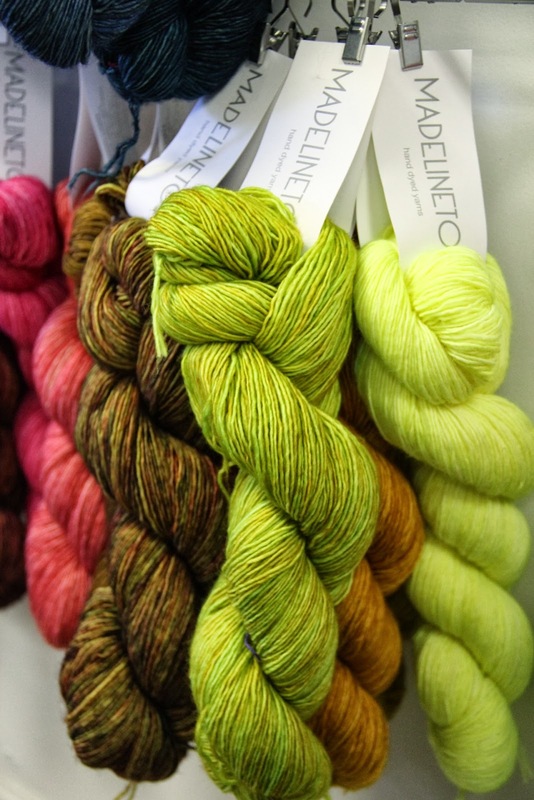 Tosh Merino Light has 420 yards (384 meters), 100 grams, 26-30 sts per inch on a US 1-2 needle.